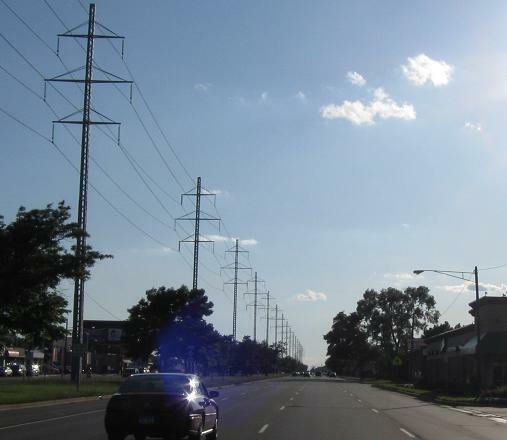 Eminem may have waxed poetic, but with four lanes in each direction and miles of power lines down the middle, 8 Mile Road is purely functional. Its only symbolism is as the northern boundary of Detroit. 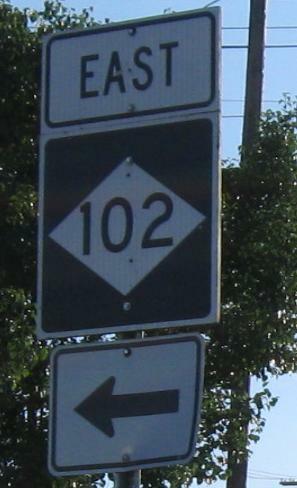 This photo looks west after M-102 joins the road. 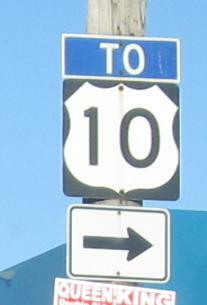 WB past Sherwood St. to John R... Rd. John R is never referred to as Road, so just ask for him by name. 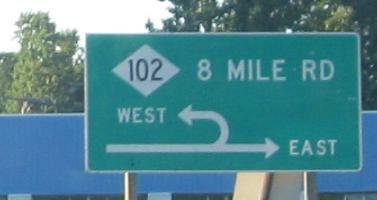 Michigan, quit underlining directions; get with the rest of the country and use a larger first letter. And quit using elongated diamonds on standalone shields, especially on square sign blanks, because three digit numbers still belong in the standard shield. (You're okay, guide signs, but only grudgingly.) The first photo (at a U-turn/Michigan left) is even worse because instead of expanding the shield horizontally, MDOT shrank it vertically. 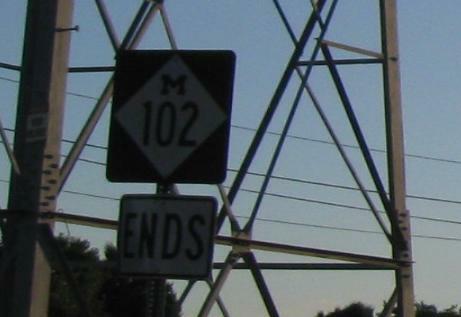 Ending the way it began, next to high-voltage power lines, WB at M-5.